831(b) captive insurance companies are under scrutiny from the IRS. The driving reason behind this is that these mini-captives are powerful tools which have the potential to create massive tax savings if structured in a certain manner. As a result, careful planning is necessary in order to create an insurance structure that is both appropriate for your insurance needs as well as to remain compliant with the IRS’s guidelines. Neither the IRS nor the Treasury Regulations define insurance. As a result, we rely upon the rulings in various court cases to indicate when insurance-like arrangements actually constitute insurance. A court will rule that a legitimate insurance arrangement exists where 4 factors are present: (1) the arrangement basically operates like “insurance” in the commonly accepted sense; (2) there is risk distribution; (3) there is risk shifting; (4) the arrangement involves actual insurance risk. Rent-A-Center, Inc. v. Commissioner, 142 T.C. 1, 13 (2014). The first element considered is whether you have insurance in the commonly accepted sense. It is appropriate that the first inquiry in this analysis essentially asks how many angels dance on the head of a pin. This is the constant tension between the regulators of captive insurance and the operators. The regulators (including the IRS) generally disfavor captive insurance companies because they believe that they are being abused as tax shelters. This is nearly impossible to prove without concrete evidence of members stating in emails that they are interested in defrauding the government. The reality is that captive insurance arrangements do have very powerful tax reduction attributes which have been manipulated by unscrupulous promoters in the past. These are a minority of individuals in the industry, but it only take a few bad apples to spoil the bunch. As such, the IRS now scrutinizes all captive insurance arrangements. Thus, the first element of the test is a sniff test. If a purported insurance arrangement basically amounts to a company stuffing money into a bank account and paying out claims whenever it feels like it without any legitimate claims procedure or proper insurance policy in place, then you do not have an insurance company. Several cases have weighed several non-exclusive factors determining whether an arrangement is insurance. The most common factors include: (1) whether the insurer prices premiums at arm’s length; (2) whether the insurer is organized and regulated as an insurance company in the states in which it operates; (3) and whether the insurance policies are valid and binding. See, e.g., R.V.I. Guaranty v. Commissioner, 145 T.C. No. 9 (2015); Harper Group, 96 T.C. at 60; Kidde Indus, Inc. v. United States, 40 Fed. Cl. 42, 50-52 (1997). Other factors generally necessary to constitute an insurance company are whether the insurance company maintains its own books and records, maintains its own separate bank accounts, prepares its own financial statements, and holds meetings of its board of directors. Securitas, T.C. Memo 2014-225, 27-25. The important key factor to remember is that the court will look through the formality of any insurance arrangement and look at the substance of the situation. The best way to ensure compliance is to retain the services of qualified actuaries who can assist with setting appropriate premiums, accountants to conduct annual audits, and underwriters who can assist with the management of losses. In addition, larger captive insurance companies should consider retaining a third party administrator to assist with claims management. All of these independent professionals are generally coordinated through the use of a captive manager who operates as the quarterback for the insurance company. Risk distribution occurs when an insurer pools a large collection of unrelated risks together (generally defined as risks that are unaffected by the same event). Rent-A-Center, T.C. at 24; Humana Inc. & Subs. V. Commissioner, 881 F.2d at 257. Pooling exposures brings about risk distribution. Securitas, T.C. Memo. 2014-225 at27. In assessing risk distribution, the IRS analyzes the actions of the insurer, not the insured. The concept is that the insurer’s risk must be reduced through risk distribution. Harper Grp. V. Commissioner, 96 T.C. at57. Some captives distribute their risk by insuring a number of brother-sister entities (affiliated parties within an organization). The IRS is generally of the opinion that at least 12 entities are needed to sufficiently distribute risk, however precedent exists supporting only 7 entities. This means that at least 7 different organizations must be covered by the captive’s insurance policies in order to achieve proper risk distribution in the eyes of the IRS. However, case law does support the position that risk distribution exists in situations with fewer affiliates if there are large enough pools of independent risk exposures. For example, offering a single workers’ compensation policy covering 2,000 stores in 50 states would qualify as proper risk distribution. Rent-A-Center, 142 T.C. at 24. Another manner of achieving risk distribution is to structure the captive such that it receives premium from unrelated entities. This means that if a captive issues policies to other entities which are not a part of the parent company in arm’s length transactions, then risk may be considered distributed. The general rule of thumb is that at least 30% of the captive’s premium should come from an external entity; however, 50% premium is preferred by the IRS. In Harper Grp., the tax court ruled that sufficient risk distribution existed where Harper’s captive issued about 30% of its premium to unrelated entities. Harper Grp., 96 T.C. at 48-50. Those unrelated entities amounted to 7,500 insureds, which was a key element of the court’s holding. Risk shifting is the transferring of the economic impact of a future loss from the insured to the insurer. 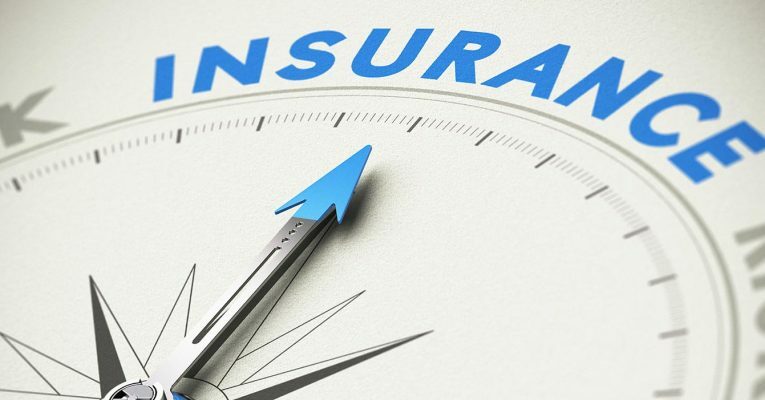 If the insured shifts risks to the insurer, then a loss against the insured does not affect the insured so long as the loss is covered by the policy. Clougherty Packing Co. v. Commissioner, 811 F.2d 1297, 1300 (9th Cir. 1987). The court will use the Balance Sheet Test to assess whether a risk shifting occurred. The court will also assess whether the captive is adequately capitalized. If a collection of high severity events occurred simultaneously and the captive could pay out the claims, then the tax court is more likely to determine that risk shifting actually occurred. Fortuity must exist in insurance. Fortuity is a chance accident or random event unforeseeable by any parties. Amerco, 979 F.2d at 167. This risk must be more than a mere business or investment risk. Helvering v. Le Gierse, 312 U.S. 531, 542 (1941).